The Hall is very popular during the week with a regular programme of activities. 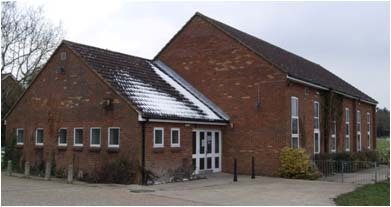 The preschool uses the Hall in term time, but in school holidays the Hall is available to hire during the day. At weekends, the Hall is available for hire and can be hired from 8am to 11.30pm. Please note this website is only updated monthly. There are a number of sporting and leisure activities going on in the Hall. If you’d like to join in, just give us a call. Note: these activities were originally held within the East Herts Forever Active initiative (over 50s), but are now open to all adult age groups. For more information contact Brian on 07899910954. Badminton – October to the end of April – Tuesdays and Thursdays 8.00pm – 9.30pm – £2.50 for non-members. For more information contact Tom – sclanders@msn.com . Contact Carol Warren to check current availability. She will also happily show you round the Hall, explain the hire charges and arrange the booking with you.